About Us | Bringing together stories, rooms, life. 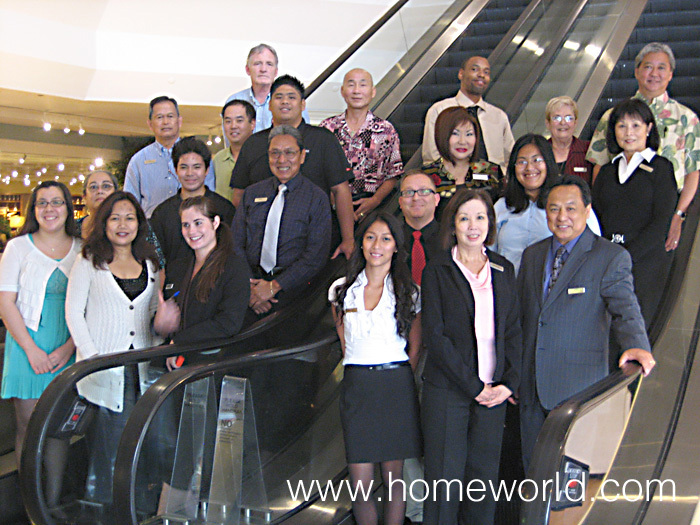 Since 1994, HomeWorld Furniture has set the standard of home furniture shopping in Hawaii. Positioned as Hawaii’s furniture destination, HomeWorld is the largest furniture division of its parent company, C. S. Wo & Sons, Ltd.
At HomeWorld, we are more than just tables and chairs. We help you design the home of your dreams by enriching the lives of you and your family with inviting, warm living rooms, welcoming dining rooms, and relaxing bedroom retreats. Whether that means optimizing a small space or creating a large gathering place for family and friends, we have the resources, as well as custom order options to create rooms you’ll love to come home to. Our goal at HomeWorld has always been to provide our customers with a large selection of furniture at the best possible value. We have the largest collection of Italian leather in Hawaii. Plus, you’ll find the best selection of living room groups, dining room groups, entertainment centers, wall units, recliners, rattan, sofabeds, home office, and bedrooms for adults and youth. To offer the best selection, HomeWorld is constantly adding and changing its collections to bring new and exciting furniture designs to our showrooms. At HomeWorld you’ll find well-known styles from Natuzzi Editions, Stressless by Ekornes, La-Z-Boy, and Jonathan Louis. Plus, you’ll also find fresh and impressive furniture designs and accessories from new manufacturers around the world. All have their own distinctive looks to offer more selection and style to Hawaii. C. S. Wo & Sons, Ltd. is also the parent company to other furniture stores throughout Hawaii including C. S. Wo & Sons, SlumberWorld, Red Knot and Ashley HomeStore Hawaii. HomeWorld is proud to be part of the C. S. Wo & Sons, Ltd. furniture family and Hawaii’s history. For more in-depth company history on the founding of C. S Wo & Sons, Ltd., click here. To read about C. S. Wo & Sons, Ltd. in the news, click here.